Devon Carpenter, harpist, is a professional Central Indiana harp player providing music for events in Tipton, IN, and the surrounding areas. The elegant music of the harp is the perfect addition to your wedding ceremony, reception, or party. 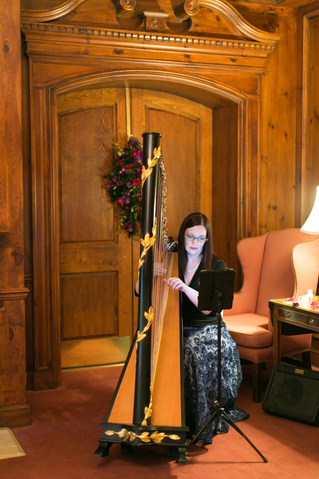 Also available as a harpist for weddings and events in the neighboring areas of Boone County (Lebanon & Zionsville), Clinton County, Grant County (Marion), Hamilton County (Noblesville & Carmel), Howard County (Kokomo), Madison County (Anderson), & Marion County (Indianapolis), Indiana.